Fr Hesse labels the NOM as generally invalid as well as illicit. He explains that the Sacrifice must take place in order for Grace to be available. That Grace is God himself. If the NOM has no Sacrifice, then there is no Mass, and therefore no Grace. Furthermore, we can never tell if the NOM is valid because the sacrificial nature of the Mass is downplayed or outright removed. And when there is doubt about the sacrificial nature of the Mass, we run the risk of worshiping a cookie. Fr Hesse reiterates the necessity to stay away from doubtful sacraments. Fr Hesse also states that the NOM was never decreed but was merely published by Pope Paul VI. He also states that the infallible Council of Trent forbade the creation of a new Rite or a new Mass. • Do not participate in something which is against Divine Law. • Do not participate in something which is doubtful. • Follow the safer course. The safer course cannot be to attend the New Mass which you don’t even know if it’s valid or not. • You cannot sanctify Sunday by doing something wrong. • Illicit means it is against Divine Law. • The New Mass is a Protestant Mass. • The New Mass was written by Protestants. • The New Liturgy is illicit and you cannot participate in it. • In most cases in today’s parishes, you receive a cookie and nothing else. NOTE: Marie Julie Jahenny was a Third Order Secular Franciscan. The Conciliar Church or the Roman Catholic Church? Is the post-Vatican II Church the Conciliar Church or the Roman Catholic Church? In the past four years, the nSSPX no longer refers to the post-Vatican II Church as the Conciliar Church (a term used by ABL). Instead, the nSSPX wants us to believe the post-Vatican II Church is the Catholic Church. As Fr Hesse then points out, Gnosticism is Satanic. Therefore the post-Vatican II Church is not the Roman Catholic Church and should be identified as the Conciliar Church. So, stay away from it!!! You may download here a booklet called “Catholic Moral Principles Concerning the Reading of Literature” authored by Fr. Stephen DeLallo. Today is the 99th anniversary of the Miracle of the Sun at Fatima, Portugal. 2016 is also 87 years since Our Lady of Fatima requested the Consecration of Russia to Her Immaculate Heart by the pope in union with the bishops of the world. No pope has yet done it according to Our Lady’s request. 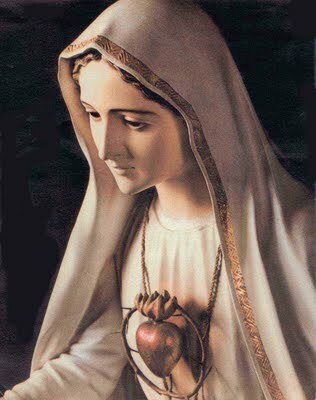 Therefore, let us honour Our Lady of Fatima, console Her for those who have not heeded Her request, and beg Her for the coming of the Angelic Pope, Peter II, who will release the full Third Secret of Fatima and finally consecrate Russia to Her Immaculate Heart in union with the bishops of the world. New Mass Is Valid Therefore I Can Go? You may download here a paper I wrote called A Refutation of “A Catechetical Refutation”: Regarding a Defence Made of Bishop Williamson’s Comments on the Novus Ordo in response to a thesis in Mr. Sean Johnson’s paper called A Catechetical Refutation: Regarding Certain Objections Made to Bishop Williamson’s Comments on the Novus Ordo in which he defends Bishop Richard Williamson’s advice to a lady during a conference given in Mahopac, NY on June 28, 2015 regarding active attendance at the Novus Ordo Mass. I argue that Bishop Williamson’s advice to the lady transgressed the Declaration of Fidelity to the Positions of the Society of St. Pius X written by the saintly Archbishop Marcel Lefebvre in 1981 on this essential matter. I beg His Excellency to retract his advice and return to the position of his spiritual father, who consecrated him a bishop to carry forward the promotion and defence of Catholic Tradition. This must needs include the wholesale rejection of the Novus Ordo Mass and its active attendance.